People that autocross know what this is all about, but many of you probably wonder what the heck this thing is, so here are the details. The car was build by a gentleman named Delmar Long. Del is a car builder extraordinaire. This is 9th car Del has built, out of a distinguished line of preceding cars, most of which won National Championships (see image to the right). 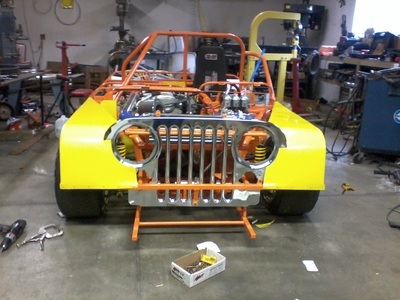 Del is actually in the process of building another "Jeep", this time for D Modified. Think Son of Jeep or Jeep 2. The car owner is Jim Murphy and I've been autocrossing with Jim as a co-driver in three different cars since 2005, starting out in a F500 (small open wheel car), an EM 914-V8, and now the Jeep. Many thanks to Jim for all the opportunities. 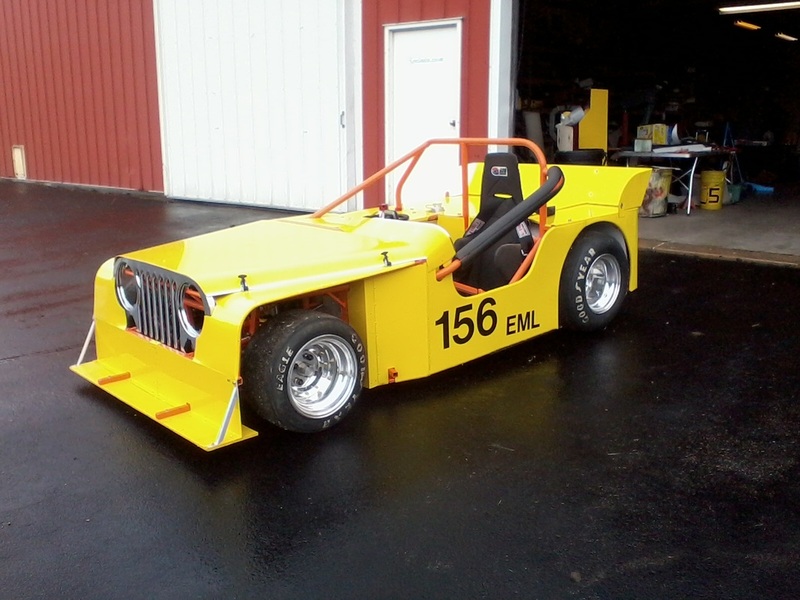 The car started out its life as an Allison Legacy 3/4 scale NASCAR chassis and was extensively modified to be used as an autocross car. 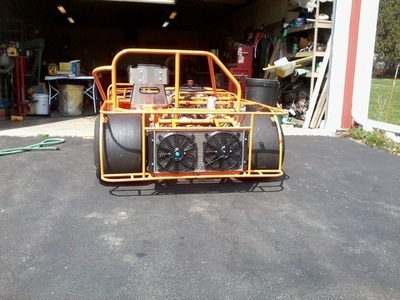 The chassis was designed to use an 80" wheelbase, which is what the E Modified rules allow as the minimum for the class. If you'd like to understand more about the type of racing this car is designed for, this a great video that explains everything. This was created by a graduate student for his cinematography class, and he did an excellent job in describing the sport. 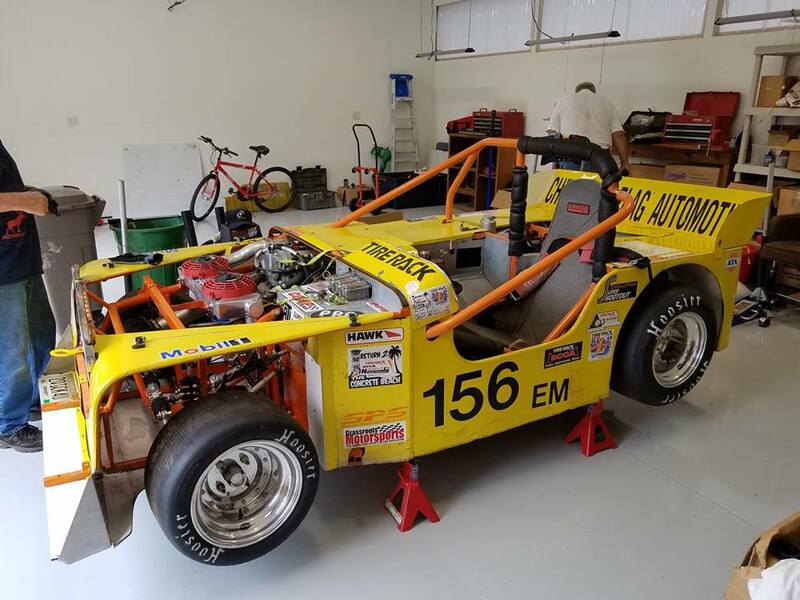 The Allison Legacy car is a three-quarter sized replica of a Sprint Cup car and is powered by a four cylinder MAZDA B-2200 truck engine that produces approximately 125 horsepower. The cars use the standard MAZDA five-speed transmission. 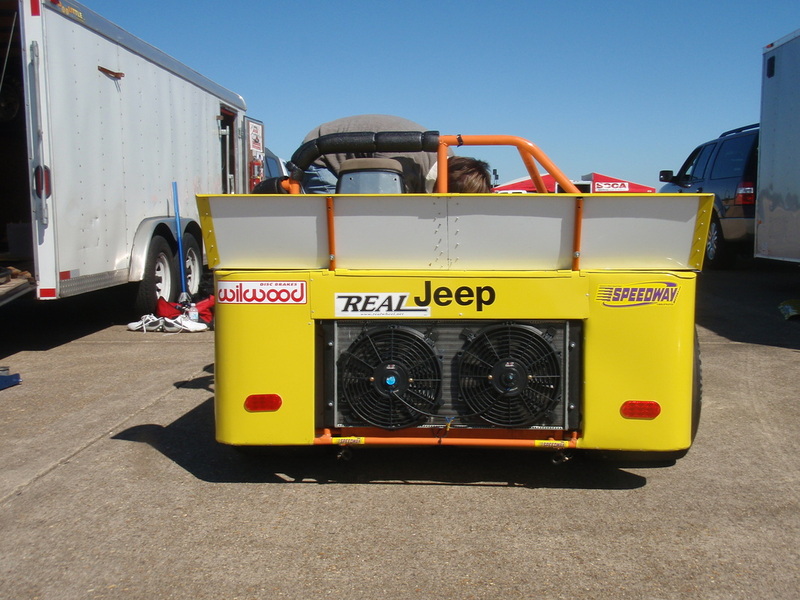 The cars weigh about 1,400 pounds dry but must weigh a minimum of 1,675 pounds with driver to race. 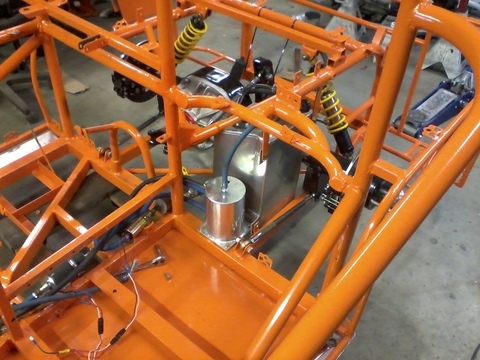 The series is a “SPEC” series designed to minimize your racing costs and place the emphasis on the driver instead of the equipment. The Allison Brothers, sons of former NASCAR competitor Donnie Allison, are the creators of the Allison Legacy car. Rules and National technical inspections are strictly enforced to limit alterations to the basic car. The engines are sealed and can only be rebuilt through Allison Brothers Race Cars. The engines are resealed before shipment back to the competitor. Almost all parts are spec and cannot be modified for competition. 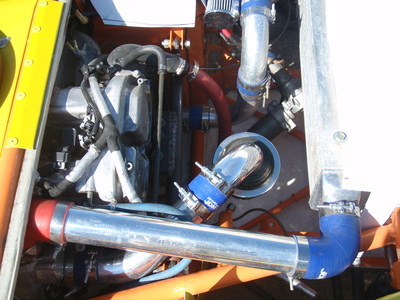 Engine - GM Ecotec 2.0 LNF Turbo. This is the same engine that came in a Chevy Cobalt SS, Pontiac Solstice GXP and Saturn Sky Redline. From the factory they made 260 hp and 260 ft lbs of torque. GM released an upgrade that you could purchase to get 290 hp and 340 ft lbs of torque. The engine is stock internally but is running a Trifecta (Trifecta base tune, HPtuners on top) E85 tune with larger downpipe, muffler, and intercooler. 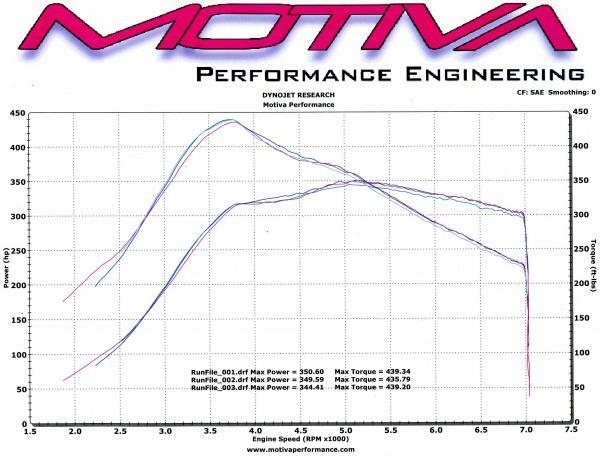 Power is was ~350 hp and 400 ft lbs of torque, but with the new rebuild, I'm estimating about 425 RWHP. The car is headed to the dyno around the end of July 2016 for tuning of the fuel map on the new motor. Transmission - The transmission is a rare Doug Nash two-speed quick-change unit originally designed for circle track racing. We start in high gear and run the entire course without shifting. Think 0-85 mph. Real fast. People ask why a Jeep and the answer is simple. The class rule is that the wheelbase of the vehicle can't be shorter than 80", and that the car you build, must resemble the car it's based off of. 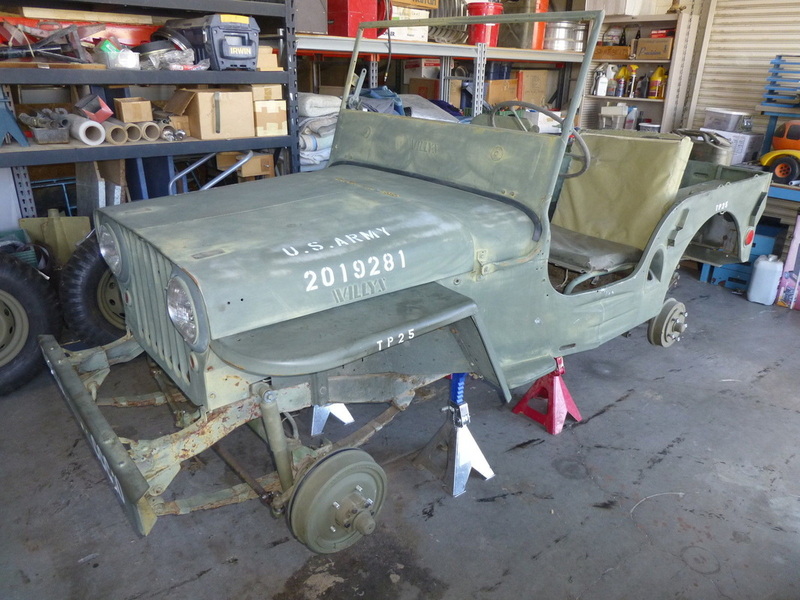 The builder, Del Long, started searching for cars that had an 80 wheelbase, and discovered that a 1946 Jeep had one (see the image at the top of the page). 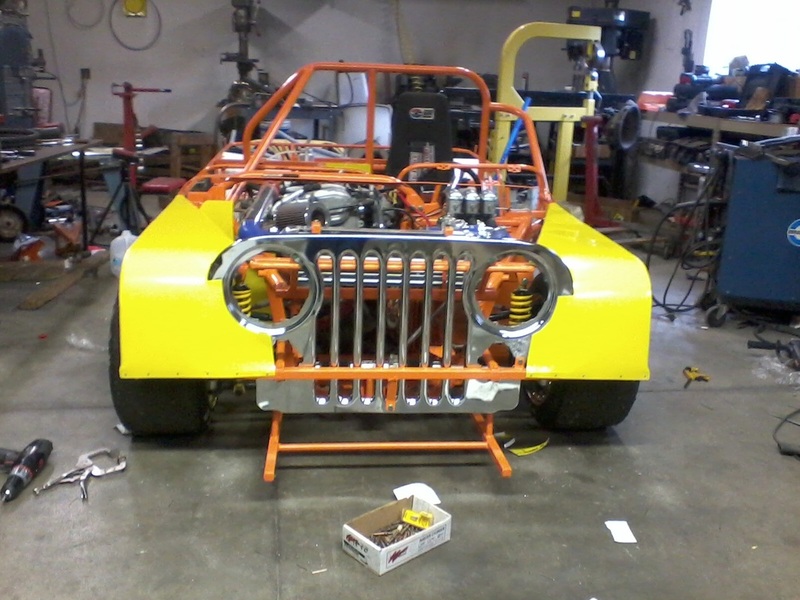 So at that point, Del started building the only autocross Jeep in the country. 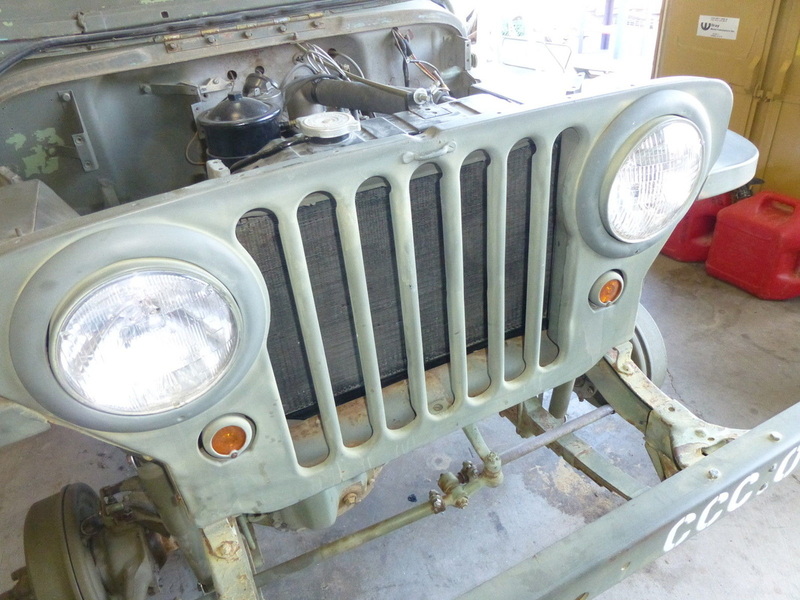 Oh... there are no real Jeep parts used on the car at all. Even the grill is a replica. Since the car was built six years ago, it's been to the National Championships six times. Bob Tunnell placed 2nd the first year out, my son Matthew placed 2nd in 2014, and I've been on the podium with a 3rd place finish four times now. We're still tweaking and tuning, trying to make it as competitive as it can possibly be. Performance is incredible. The car only has an 85 mph top speed but it gets there like a rocket. With about a 5-1 power to weight ratio, 80+mph comes up in about 5 seconds or so. The car will pull 1.7 g's in a corner and stop on a dime. The weight is slightly toward the rear, with about 53% on the rear tires. With such a short wheelbase and a low polar moment of inertia, the car can be a handful at times! The J-1 was built on a very tight time schedule. I met Cashmore in Illinois to deliver the YC-3. 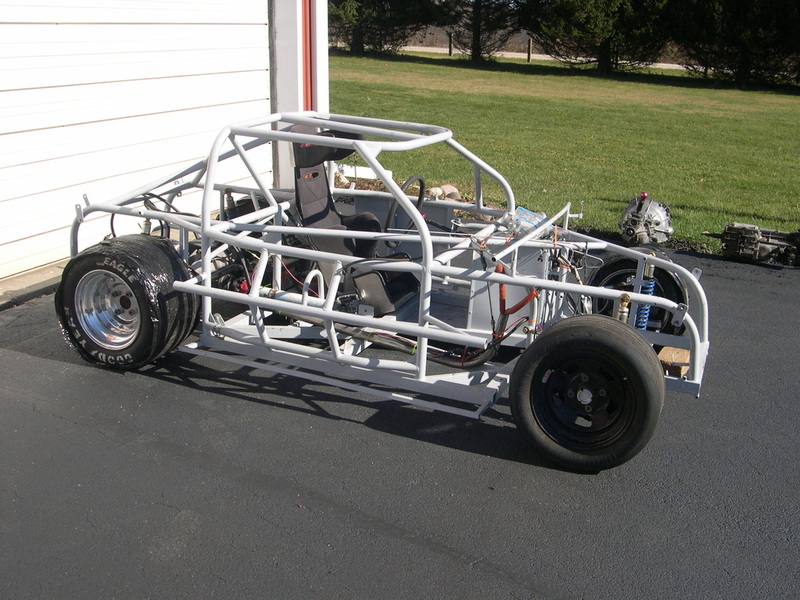 At the Used Race Car shop where we met to do the swap there was an Allison Legacy rolling chassis. I thought Hmmm... that's an 80" wheel base, it was built for a Toyota 4 cylinder engine and transmission, it has a Winters QC rear end, the bolt pattern on the wheels is 4x4.5 same as all the wheels I've been using, it's $3500.00, my trailer is about to be empty, Cashmore is going to give me a check. Jeff takes the YC-3 home. I write a check, which I forgot to sign, but that's another story. 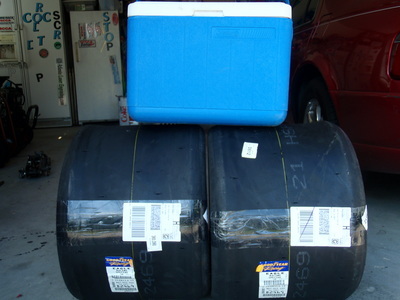 They help me roll it in the trailer, and the race is on. I locate a LNF in a fairly local salvage yard. It has complete engine, wiring harness, ECM, clutch and flywheel, throttle pedal so I'm good to go, I think. Get it al home, attempt to fit LNF in Toyota hole, dang, the LNF is way bigger than the Toyota. Grab saws all, cut, cut, cut, still won't fit. 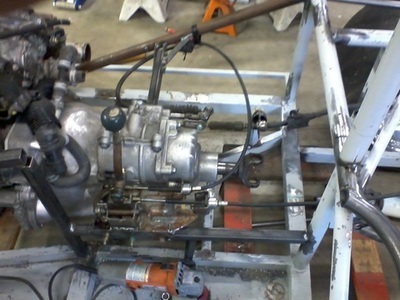 OK, might as well go all the way and move the engine back as far as the Rules will allow. 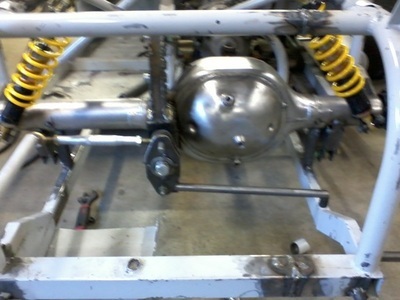 Crap, there's no room for a transmission, or the drive shaft will be 2 U-joints back to back. 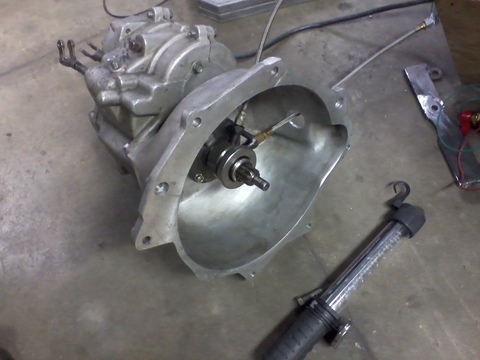 Miraculously, I locate Doug Nash 2 speed plus QC transmission on Internet. 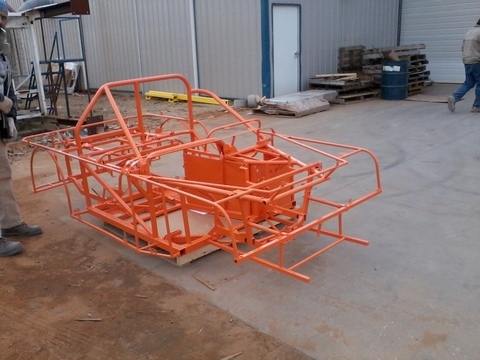 A DNQC+QC is a specialty box built to take advantage of a early 1970's Oval track Rule that banned QC rear ends. I buy a Bell housing from Quad 4 company that mates LNF to Chevy Transmission. Bolt the pieces all together try to set it in GAPING hole, OOPS, cut, cut, cut. 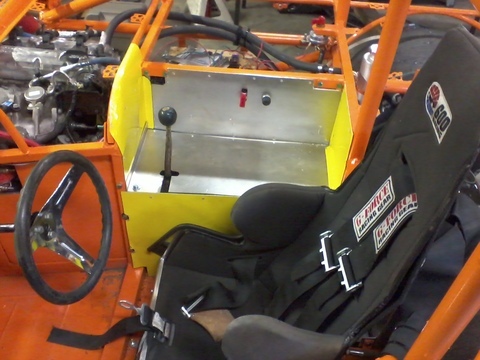 It all fits, but now the roll cage is mostly gone and all there is left is the rear hoop. Look at calendar and think, there is no way in heck I'm going to be able to meet Bob T at Lincoln for the Spring Nationals. Weld, grind, saw, weld, powder coat, cut, rivet, make it to first local event with 2/3 of a Jeep body, and a couple massive oil leaks. One is loose hose on engine that sprays oil mist all over face shield, Other is even more exciting as to liberally coats rear brakes and tires with 75/90. Speedway Engineering send wrong seals for the rear, there's an 1/8" clearance between hub and axle. No problem it's still only April 15th and Lincoln is clear at the end of May. SWE sends seals over night and leak is fixed by next Sunday. Body panels riveted on. or at least most are. 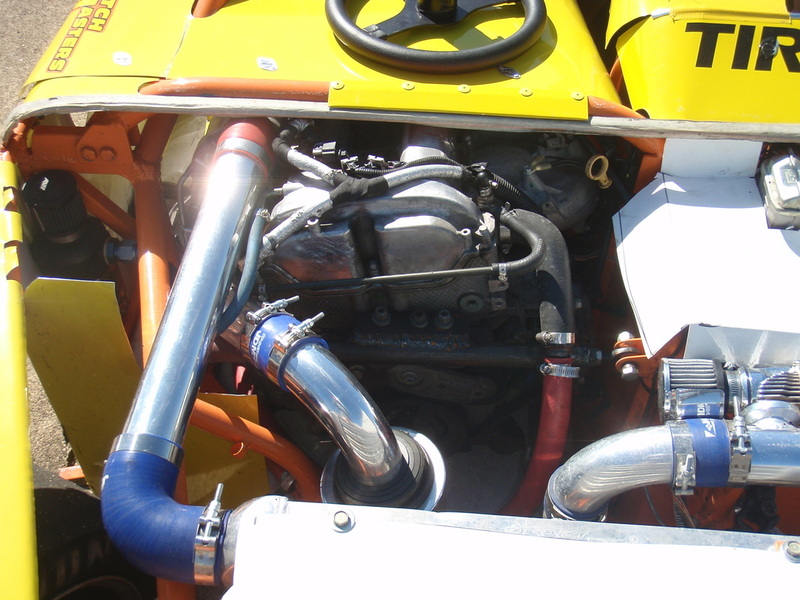 May 5th, another local event, it runs but won't go over 4500 RPM, call Vince, he says did you hook up VSS, I say what VSS. Get VSS signal simulator from Enginewiring.com install it, and run up and down driveway, it seems to run ok.
Look at clock, I mean calendar, load everything in trailer, get Jeff E. go to Lincoln. Wheels do not fall off, Bob and Jeff have smiles on faces, Jeff K, comes by to see what the heck is going on, he's NOT smiling. Patty has steering lock up, clutch starts slipping so everyone leaves line in High gear, being as gentle as possible. Everybody thrashes like mad men (persons) locked steering isn't locked, clutch still slips, but almost everyone is still smiling. Go home, order new Clutch Masters clutch system. Run several local events, J-1 is exciting to drive, wheels don't fall off. Load J-1 in trailer, pack bags, wife and we go to Colorado, spend night with my brother, get up go to Colorado Springs, meet Bob and Patty, Test new Hoosiers, spins occur 15 feet from start line, adjust pressures, spins occur 75 feet from start line, install well worn GYs, no spins, pretty fast, Bob smiles. load trailer, spend night in Denver, go home. 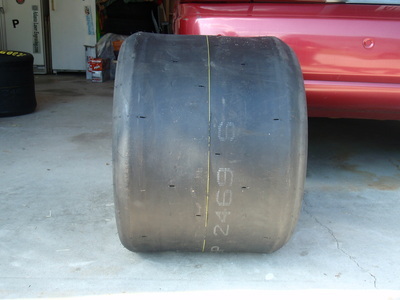 Try to buy new GY FA tires, no fronts available in USA. Decide to run OLD GY tires. Go to Nationals. Bob finishes 2nd, Jeff finishes 3rd. Jim Murphy calls and REALLY wants the Jeep. We make deal. I call Cashmore to help test drive the 914 V8 that is being traded in, and we head to Bytheville to make trade. 914 won't back out of trailer, we re-negotiate the deal, swap cars, trailers, checks, titles, and go home. Jim owns Jeep, I own 914, for a little while, and everyone is happy. I went to Blytheville to drive the Jeep for the first time. We arrive with a broken 914 and I start to panic when Jim tells Del the 914 axle CV joint broke and I'm not even sure if the deal was going to happen. They finally work out a deal and the Jeep becomes Jim's. A little later, we discover that Jim will not fit in the drivers seat, so instead of Jeff C. driving the 914, he's going to drive the Jeep with me. GREAT! I get to co-drive with one of the best out there, I'm stoked. The Blytheville course was blazing fast and wide open and not something I was expecting at all. Jeff kills me by 3 seconds on day 1. It was a different beast than a F500 and I wasn't nearly as excited by the next morning. Needless to say, Jeff beat me pretty good. The one great thing that came out of it was Jeff added all of his data acquisition devices to the car and I was able to see where he was killing me. Even with that data (which was awesome) it's taken me several years to get comfortable with the car.